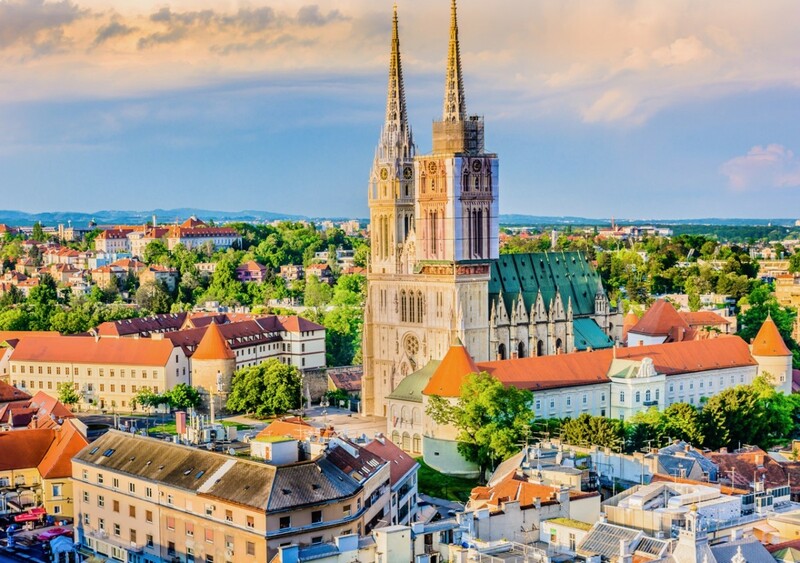 Interest in visiting Zagreb has significantly increased over the past 5 years with travellers eager to visit and explore Zagreb. Zagreb has been the winner of the best Christmas Market in Europe for 3 consecutive years for Advent in Zagreb, which has seen tourist number increase of the Christmas period as well as keen travellers being interested in visiting Zagreb’s quirky museums and experiencing the chic coffee culture in Zagreb. Zagreb Airport or Franjo Tudman Airport is Croatia’s largest and busiest airport and is located just 15km from the heart of Zagreb’s Ban Jelacic Square meaning its only a short drive from Zagreb Airport to Zagreb. Being the largest airport in Croatia, Zagreb Airport also has the most number of international and domestic flights and is also the base for Croatia Airlines the national airline carrier. By far the most convenient way to get from Zagreb Airport to Zagreb is to take a private transfer and the best part is it costs the same as a Taxi. If you require a transfer from Zagreb Airport to Zagreb or Zagreb to Zagreb Airport, Octopus Transfers Croatia has you covered. Our driver will pick you up from Airport arrivals, assist you with your bags and you will be on your way to Zagreb. Our Zagreb Transfer prices are fixed when you make the booking so there are no hidden surprises and our drivers all speak English and hold professional driver qualifications. Contact us for your Zagreb Airport private transfers and Zagreb Airport Taxi services.